Ahead of Friday’s inauguration of President-elect Muhammadu Buhari, there are indications that he may be heading for a collision with the party's governors over the appointment of ministers in his cabinet. It was gathered from reliable sources that Buhari has vehemently rejected the ministerial list sent to him by the state governors and the party leadership in the states. The source said Buhari had argued that it is not proper for the state governors to handpick his ministers for him even when they on their own undertake the appointment of state commissioners. “He is insisting that no one has the right to appoint ministers for him since he would not appoint commissioners for any of the state governors,” the source said. It was learnt that part of the reason Buhari decided to embark on what seemed an impromptu foreign trip to the United Kingdom was to escape from the pressures already being mounted on him by influential persons to favour their candidates. The disagreement is coming on the heels of imminent jostling for positions by party chieftains and those regarded as non-partisan professionals and technocrats seeking for plum jobs in the incoming administration. One of the party chieftains who spoke on the condition of anonymity at the sidelines at the just concluded policy review retreat in Abuja said that the so-called professionals and technocrats are being used as a ploy by those from outside the APC who did not participate in the opposition struggle for power to hijack the plum positions in the cabinet. On the issue of ministerial list, it was learnt that the president-elect had conveyed his position to the national leadership of the party for onward communication to the governors. 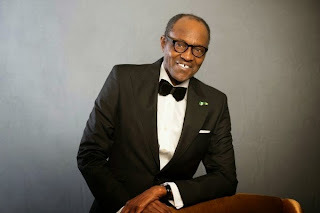 Buhari had also asked one of the governors from the South who had submitted a list of ministerial nominees whether he (Buhari) could select his commissioners for him, a question the said governor could not answer. The president-elect, according to sources, has been inundated with long lists of names believed to be the governors’ loyalists while some other names have been submitted from other prominent party leaders who believe they can have their way on the issues of ministerial nominees.